Note : This paper contains seventy five (75) objective type questions of two (2) marks each. All questions are compulsory. 1. A hierarchical memory system that uses cache memory has cache access time of 50 nano seconds, main memory access time of 300 nano seconds, 75% of memory requests are for read, hit ratio of 0.8 for read access and the write-through scheme is used. What will be the average access time of the system both for read and write requests ? 3. In a dot matrix printer the time to print a character is 6 m.sec., time to space in between characters is 2 m.sec., and the number of characters in a line are 200. The printing speed of the dot matrix printer in characters per second and the time to print a character line are given by which of the following options ? 5. How many times will the following loop be executed ? 6. Specify the contents of the accumulator and the status of the S, Z and CY flags when 8085 microprocessor performs addition of 87 H and 79 H.
I. Users to treat the data as if it is done at one location. II. Programmers to treat the data as if it is at one location. III. Managers to treat the data as if it is at one location. Which one of the following is correct ? 8. Which of the following is correct ? I. Two phase locking is an optimistic protocol. III. Time stamping is an optimistic protocol. IV. Time stamping is pessimistic protocol. 9. __________ rules used to limit the volume of log information that has to be handled and processed in the event of system failure involving the loss of volatile information. I. Re-construction operation used in mixed fragmentation satisfies commutative rule. Which of the following is correct ? 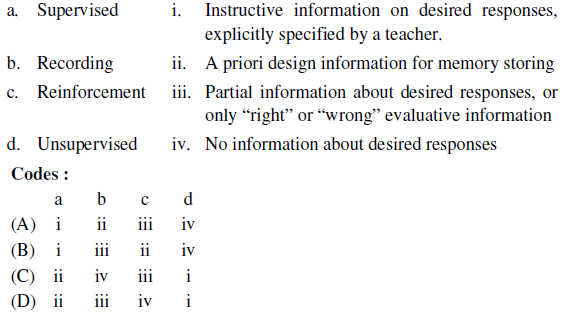 (D) None of the statements are correct. 12. Which of the following is false ? (A) Every binary relation is never be in BCNF. (B) Every BCNF relation is in 3NF. 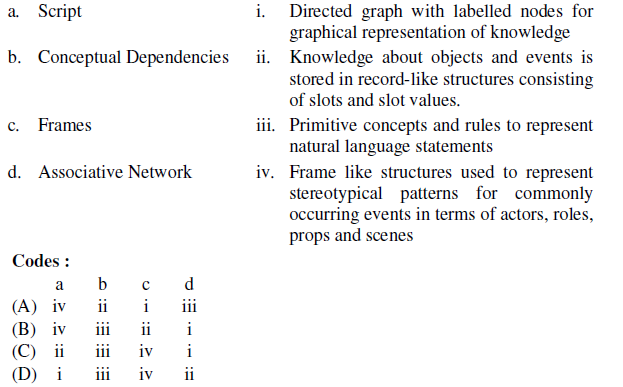 (C) 1 NF, 2 NF, 3 NF and BCNF are based on functional dependencies. (D) Multivalued Dependency (MVD) is a special case of Join Dependency (JD). 13. Which of the following categories of languages do not refer to animation languages ? 15. A technique used to approximate halftones without reducing spatial resolution is known as _________. S1 : In call-by-value, anything that is passed into a function call is unchanged in the caller’s scope when the function returns. S2 : In call-by-reference, a function receives implicit reference to a variable used as argument. S3 : In call-by-reference, caller is unable to see the modified variable used as argument. (A) S3 and S2 are true. (B) S3 and S1 are true. (C) S2 and S1 are true. (D) S1, S2, S3 are true. 20. How many tokens will be generated by the scanner for the following statement ? 21. Which of the following statements is not true ? (A) MPI_Isend and MPI_Irecv are non-blocking message passing routines of MPI. (B) MPI_Issend and MPI_Ibsend are non-blocking message passing routines of MPI. (C) MPI_Send and MPI_Recv are non-blocking message passing routines of MPI. (D) MPI_Ssend and MPI_Bsend are blocking message passing routines of MPI. (A) L1 is regular and L2 is not regular. (B) L1 is not regular and L2 is regular. (C) L1 is regular and L2 is regular. (D) L1 is not regular and L2 is not regular. 25. 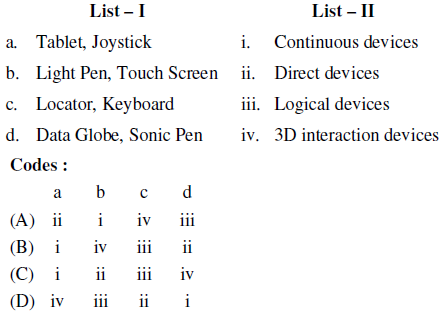 For n devices in a network, ________ number of duplex-mode links are required for a mesh topology. 27. 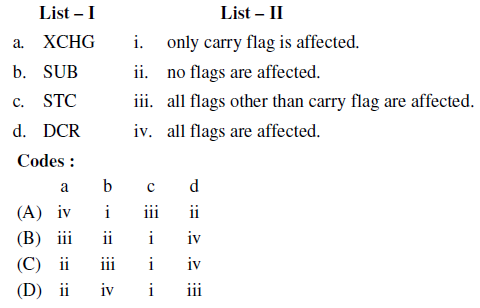 Which of the following is not a field in TCP header ? 28. What is the propagation time if the distance between the two points is 48,000 ? Assume the propagation speed to be 2.4 × 108 metre/second in cable. 29. __________ is a bit-oriented protocol for communication over point-to-point and multipoint links. 30. 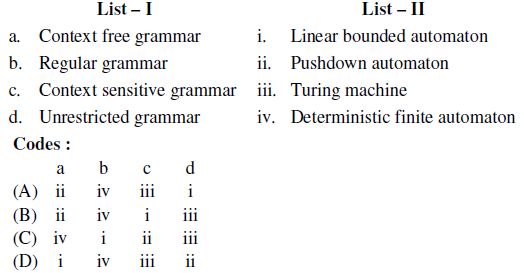 Which one of the following is true for asymmetric-key cryptography ? (A) Private key is kept by the receiver and public key is announced to the public. (B) Public key is kept by the receiver and private key is announced to the public. (C) Both private key and public key are kept by the receiver. (D) Both private key and public key are announced to the public. 35. Consider the problem of a chain <A1, A2, A3 > of three matrices. Suppose that the dimensions of the matrices are 10 × 100, 100 × 5 and 5 × 50 respectively. There are two different ways of parenthesization : (i) ((A1 A2)A3) and (ii) (A1(A2 A3)). Computing the product according to the first parenthesization is ________ times faster in comparison to the second parenthesization. 36. Suppose that we have numbers between 1 and 1000 in a binary search tree and we want to search for the number 365. 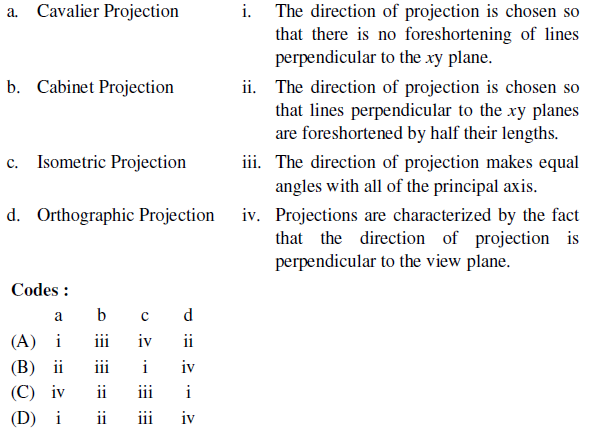 Which of the following sequences could not be the sequence of nodes examined ? 37. Which methods are utilized to control the access to an object in multi-threaded programming ? 38. How to express that some person keeps animals as pets ? 41. What is true about UML stereotypes ? 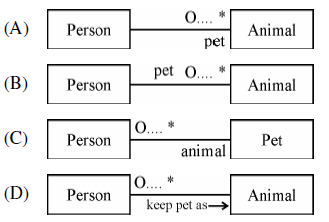 (A) Stereotype is used for extending the UML language. 42. Which method is called first by an applet program ? 43. Which one of the following is not a source code metric ? 50. 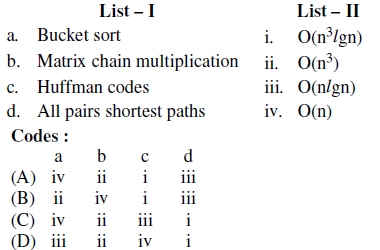 How many disk blocks are required to keep list of free disk blocks in a 16 GB hard disk with 1 kB block size using linked list of free disk blocks ? Assume that the disk block number is stored in 32 bits. 52. An operating system has 13 tape drives. There are three processes P1, P2 & P3. Maximum requirement of P1 is 11 tape drives, P2 is 5 tape drives and P3 is 8 tape drives. Currently, P1 is allocated 6 tape drives, P2 is allocated 3 tape drives and P3 is allocated 2 tape drives. 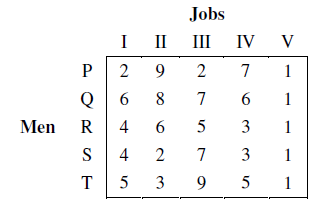 Which of the following sequences represent a safe state ? (A) It is higher level synchronization primitive and is a collection of procedures, variables, and data structures grouped together in a special package. (B) It is a non-negative integer which apart from initialization can be acted upon by wait and signal operations. (C) It uses two primitives, send and receive which are system calls rather than language constructs. (D) It consists of the IPC primitives implemented as system calls to block the process when they are not allowed to enter critical region to save CPU time. (A) Logical combination of virtual memories on the nodes. (B) Logical combination of physical memories on the nodes. (C) Logical combination of the secondary memories on all the nodes. (B) generates all successor nodes and computes an estimate of distance (cost) from start node to a goal node through each of the successors. It then chooses the successor with shortest cost. (C) saves all path lengths (costs) from start node to all generated nodes and chooses shortest path for further expansion. I. as it is difficult for administrative staff to process data. II. due to rapid growth of information and communication technology. III. due to growing size of organizations which need to process large volume of data. IV. as timely and accurate decisions are to be taken. Which of the above statement(s) is/are true ? (B) with | vxy | ≤ m, and | vy | ≥ 1, such that uvi xyi z ∈ L for all i = 0, 1, 2, ……. (C) with | vxy | ≥ m, and | vy | ≤1, such that uvi xyi z ∈ L for all i = 0, 1, 2, ……. (D) with | vxy | ≥ m, and | vy | ≥ 1, such that uvi xyi z ∈ L for all i = 0, 1, 2, ……. The Laplacian of an image at all points (x, y) can be implemented by convolving the image with spatial mask. Which of the following can be used as the spatial mask ? Find out the minimum time required to complete all the jobs. I. Feature detector can be any function of the input parameters. II. Learning procedure only adjusts the connection weights to the output layer. (A) I is false and II is false. (B) I is true and II is false. (C) I is false and II is true. (D) I is true and II is true. 73. Which of the following versions of Windows O.S. contain built-in partition manager which allows us to shrink and expand pre-defined drives ? (A) A program that performs a legitimate function that is known to an operating system or its user and also has a hidden component that can be used for nefarious purposes like attacks on message security or impersonation. (B) A piece of code that can attach itself to other programs in the system and spread to other systems when programs are copied or transferred. 75. 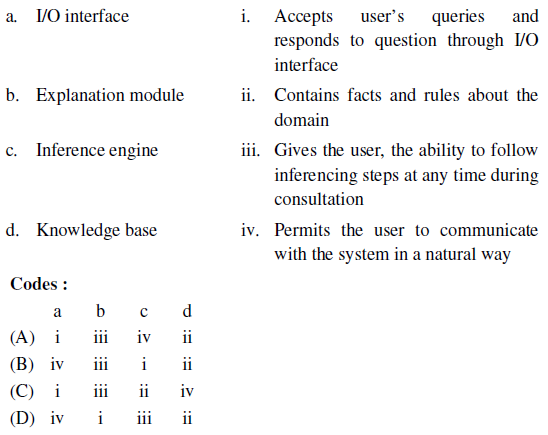 Which of the following computing models is not an example of distributed computing environment ?